October 24th in Wordpress Plugins by Wordpress Jedi . In the past couple of years, we have covered a number of awesome social media plugins on this website. You can find plenty of them online. Not every one is worth installing though. If you are looking for a new social sharing plugin, you should look for one that is versatile and gives you plenty of options. 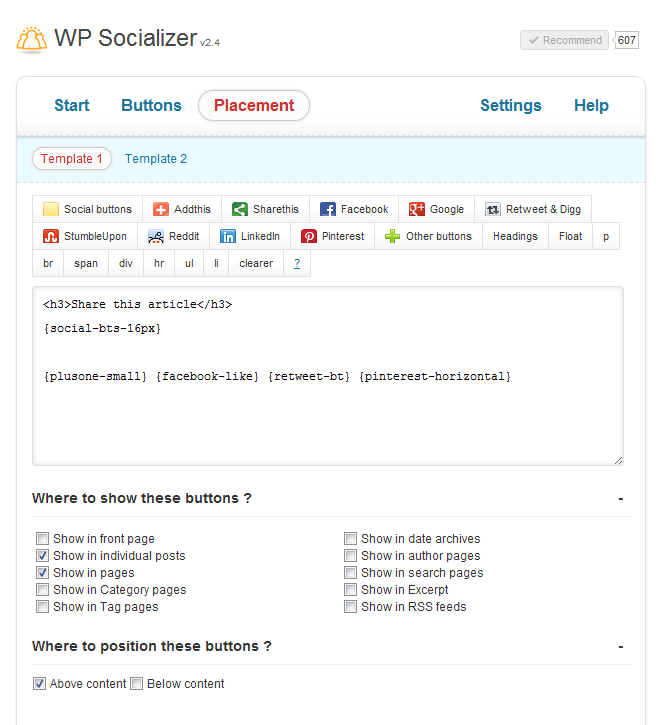 WP Socializer is such a plugin. 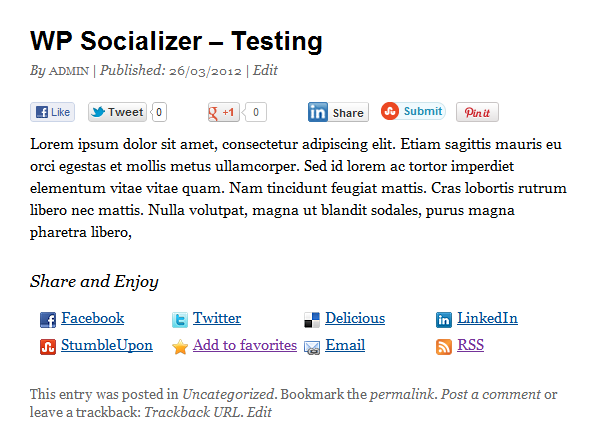 WP Socializer has over 100 social bookmarking buttons in multiple sizes. It includes Facebook like, Google +1, Pinterest, and other popular social buttons. You can easily insert these into your posts and pages. The floating share bar option is quite useful as well. WP Socializer has Facebook like box and Google+ badge widgets. Shortcodes and template functions are included if you feel like messing with your site’s code. We liked WP Socializer mainly due to the fact that it is highly customizable. It has plenty of buttons and gives you multiple ways to display them. If you are looking for a social bookmarking plugin to make your website social friendly, you should give WP Socializer a serious look.